Here in North America, most of the container home designs we see are built to withstand changing seasons and a variety of weather conditions. For these homes in Costa Rica, however, the main concern is insulating the home from tropical heat. 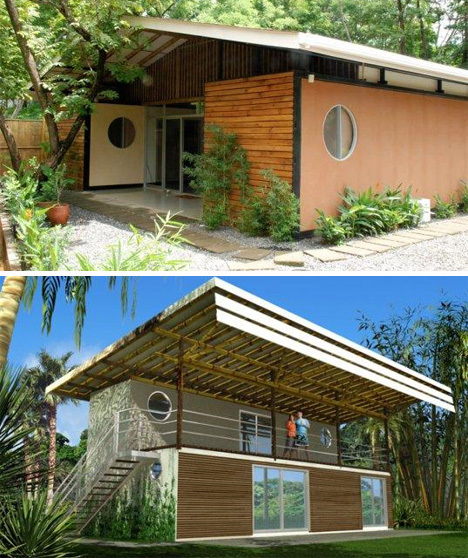 Bamboo Groove Housing does that by outfitting their prefab shipping container homes with sustainable bamboo exteriors and roofs and relying on natural ventilation to cool the living area. Plenty of other sustainable elements can be added on to the custom homes, including alternative energy systems.